I did a guest appearance on The Wombmates podcast where we talk about the big Marvel event Age of Ultron issues 6-10. You can find the newest podcast here, part one here and be sure to follow The Wombmates Jason and James on Twitter. I hope you enjoy! Secondly, my extremely talented little brother Alex Grieve is up for the Hobey Baker award for best college hockey player of the year. If you know Alex then you know he deserves this award. He is as talented as he is handsome and has always been a huge supporter of me and Team Stryker. You can vote for him daily here. If he wins it will be because of all the amazing Team Stryker fans out there! And lastly, Team Stryker is all set to be apart of the Edmonton Expo later this year! From Friday September 26 to Sunday September 28 I will be in Edmonton with Team Stryker spreading the love. I will have 6(!) issues of Team Stryker for sale as well as some expo exclusives. I hope to see you all there! 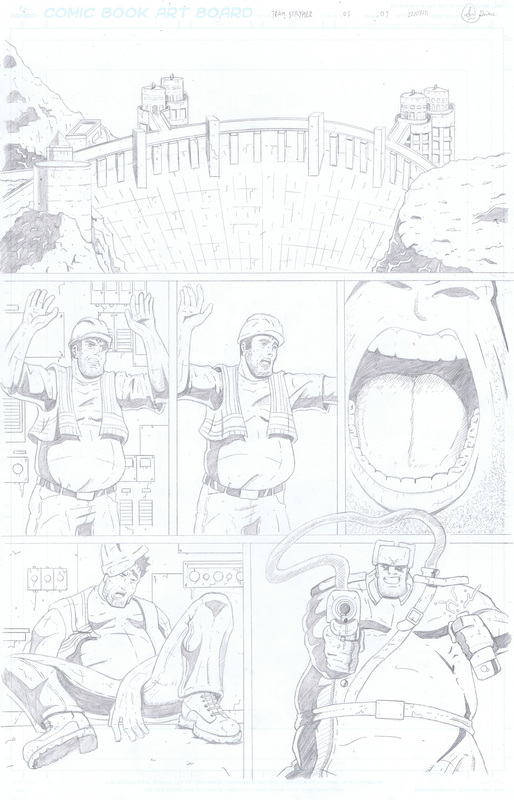 Have a great Friday and I will see you all back here on Monday for the newest page of Team Stryker Mission 005!